At Keller Williams we care for our agents and staff like they are family. And so when there is a need, KW Cares steps in and helps to fill the need. In doing so, we reach out to the public to ask for help! 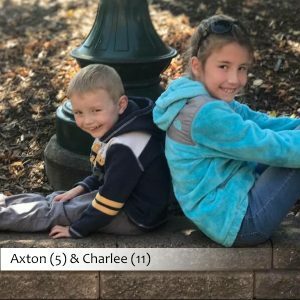 As many of you know, on December 13th Melissa Peskey was traveling with her 2 children, Charlee (11) and Axton (5), when tragedy struck while driving through Missouri. The children now face a life without their mother. And to ease this burden, we feel in our hearts the best way to help in a way Melissa would be most thankful for is to setup a college scholarship for the children. We have begun fundraising efforts within KW, and would like to extend the opportunity for the public to help as well by making an online donation or dropping/mailing a check to Keller Williams, 6300 S Connie Ave, Sioux Falls, SD 57108), payable to KW Cares. Please help spread the word! Click below to share with your friends & family! This fundraiser is being led by the Sioux Falls KW Cares committee – created to support Keller Williams associates and their families with hardship as a result of a sudden emergency. The charity is the heart of Keller Williams culture in action – finding and serving the higher purpose of business through charitable giving in the market centers and communities where Keller Williams associates live and work.